On the first night of the Summer 16 tour, Drake changed a lyric that is causing a lot of speculation. #drake disses #torylanez #tyga n others on the opening date of the #summer16 tour. 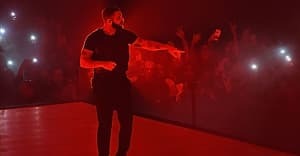 He says "all you boys making a fake Controlla wanna be me a little"
During the first show of Drake's Summer '16 tour in Austin, Texas on Wednesday night, Drake altered the lyrics of "Summer '16" into what could be interpreted as a reference to Tory Lanez's remix of "Controlla," originally a track on Drake's Views: All you boys with a fake "Controlla" wanna be me a little. The two Toronto artists have a past that dates back to 2010. In June, producer Boi-1da tweeted "If I hear one more terrible dancehall attempt of a song I'm out," to which Lanez responded with an iTunes link to his new single "Luv." Boi-1da fired back "oh hey Tory!" with a picture of Ditto, a Pokémon with mimicking powers. Drake could also be referencing "1 Of 1," Tyga's new single which many have said sounds like "Controlla." The FADER has reached out to representatives for Drake and Tory Lanez for comment.